The Affinity Collection  Glazed Porcelain Floor, Glazed Ceramic Wall and Mosaic Tiles by Daltile. Feature the soft, natural look of contemporary stone in your home with Affinity. A warm neutral color palette contributes to this products authentic and stylish look. Affinity eases the design process, offering floor, wall, mosaic and trim tile. 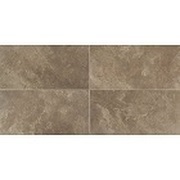 Affinity tiles are ideal on Floors, Walls, Countertops and Exterior Patios.